Popular novelist, scriptwriter and journalist Shah Alam Shazu’s 30th novel, ‘Jochanaghar’, has been published this week under the banner of Tamralipi. The cover of the book has been designed by renowned artist, Dhruba Esh. ‘Jochonaghor’ is the story about the life, hopes and dreams of a middle-class family. 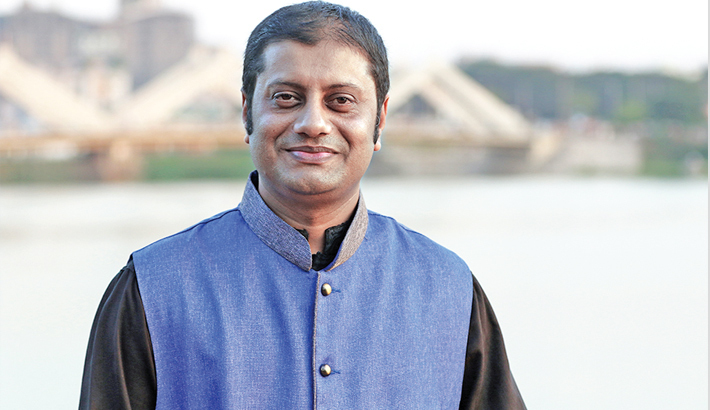 ‘Jochonaghar’ is Shazu’s first novel which did not come out during the Ekushey book fair. “We need to promote this culture, since good books need to be published throughout the year,” said Shazu. “This book took me five months to pen down, and I will be grateful if the readers embrace it like many of my other works,” said the writer. Having started his writing career with ‘Brishti Bheja Bhalobasha’, Shazu has a total of 40 published works until now. He is also a journalist at The Daily Star.